With over 20 years of experience built up during time working at various Chartered Surveying practices, Matthew Parkinson decided to set up his own practice in 2016 with the intention of providing homeowners and commercial clients with a professional yet cost-effective surveying and valuing service. Having built up an excellent reputation with both residential and commercial clients alike over his career, Matthew’s practice and client base quickly grew. In 2018, Matthew was approached with an opportunity to become part of a larger organisation of surveyors – Lea Hough & Co Chartered Surveyors. The chance to become part of a well-established practice that held similar values to his own was one that Matthew couldn’t let pass him by. So in June 2018, Matthew Parkinson Chartered Surveyors amalgamated with Lea Hough & Co.
As part of Lea Hough, Matthew is able to offer the same range and quality of service to his clients but has the added benefit of being supported by a larger team. 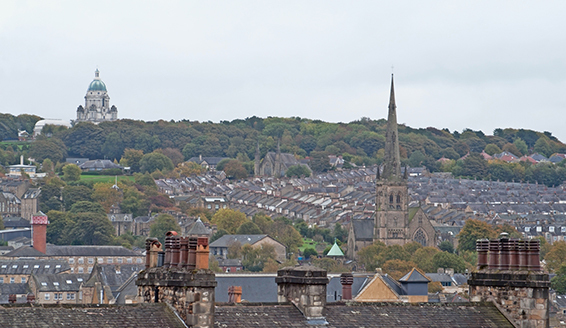 Although largely continuing to conduct work in his home town of Lancaster and the surrounding areas, Matthew is now able to serve clients across a wider geographical area. Matthew and his team of fellow Chartered Building Surveyors and RICS Registered Valuers are able to offer Survey and Valuation Reports to clients across Lancashire, Cumbria, The Lakes and Yorkshire. Clients are also able to benefit from the wider skill set and experience of the team at Lea Hough. For example, Lea Hough has a great deal of experience helping academy schools obtain grant funding for improvement works through the CIF. From Valuation Reports and Condition Surveys for residential home purchasers through to Dilapidations advice and Expert Witness Reports for commercial clients, our breadth of experience gives us an enviable reputation as a multi-discipline firm of Chartered Surveyors. All of the services that we offer clients are detailed on this website.